Mathematical genius. Brilliant engineer. Revered astronaut. Keith Corcoran is all of these things and more, but his otherworldly talents do nothing to prepare him for the tragedy that befalls his family, or its irrevocable outcomes. After a six-month mission aboard the International Space Station, Keith returns to a house that has already ceased to be a home - emptied entirely of furniture and the people he loves. It is here that Keith tries to make sense of the ghosts, the memories and the feelings that he can barely acknowledge. His experiences in space quickly fade into the distant past. What remain in their wake are endlessly interlocking cul-de-sacs, big box stores and enormous parking lots. Within this seemingly hopeless expanse, an eccentric man from a distant country presents an opportunity for redemption. Their unlikely friendship leads Keith to an understanding of all he has lost, and a sense of how to live under the weight of gravity. 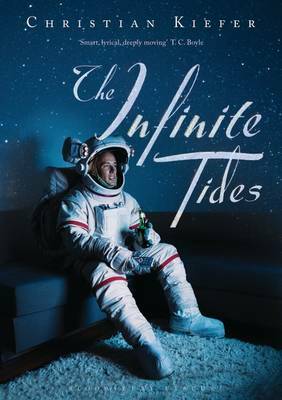 The Infinite Tides is a captivating and comic tragedy about love, loss and resilience. An indelible and nuanced portrait of modern life as viewed through the prism of American suburbia, it tenderly illuminates the strengths and weaknesses that flow through us all.